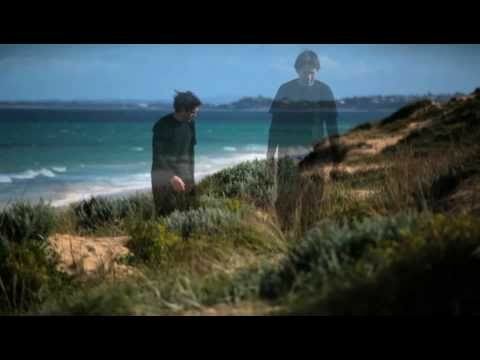 Ben Shewry was born in New Zealand in 1977. After in early training in New Zealand and Australia, he visited Thailand to develop his taste buds. 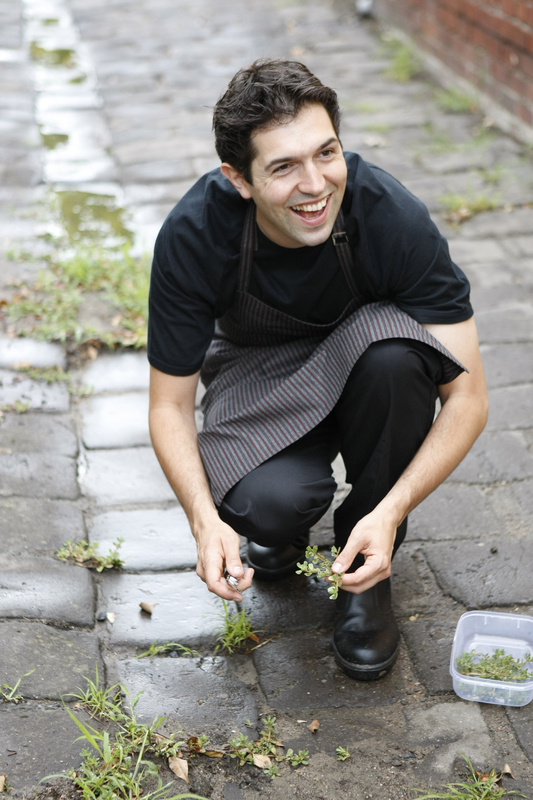 Since 2005, Shewry is the Head Chef and explorer of Attica. Named Best New Talent by the Australian Gourmet Traveller in 2008, Top 20 Rising Stars 2010 by Food & Wine Magazine, he is one of the most innovative chefs in the world! BShewry- My philosophy is very simple- work very hard, and by that I mean that I actually do mise- en-place every day with my small team (4 chefs). That is a major point of difference, I watch and taste everything and still prepare twenty percent of the evenings food. The more common practice is that, the executive chef of today does not soil his hands with the peeling of onions and what’s not. After 18 years of cooking I still enjoy the menial tasks and I think it’s important that I teach and motivate my team by actually standing along side them to prepare our food. It gives me immense pride and satisfaction to watch their personal growth, this approach is now called “old fashioned” but at the end of the day we are all cooks and that’s what we should be doing- cooking. Of course the majority of our guests at Attica know this and its one of the reasons that we are booked out constantly through the biggest depression in my life time. The main characteristic is that my cuisine is very personal, very different from others. This comes from my main philosophy of trying to do things my own way- not looking at others for inspiration but instead drawing on my past to inspire my future. Of course there is always indirect influence but we try to be very honest in our approach. For example I don’t look directly at Ferran Adria for inspiration like many others do but its impossible for any modern cook to deny his influence on the past 2 decades of cuisine. 2-(Scoffier) Do you have a particular foods (or products) that you often use in your recipes? BShewry- Often it’s the ingredients of Thailand- the seasonings like fish sauce and tamarind. Used very subtlety, I understand them well and they can bring another layer of flavour in addition or conjunction with other more traditional seasonings such as salt and lemon. I’m also a fan of vinegar to add acid- every dish must have a balance. BShewry- My main mentor is a chef from New Zealand called Mark Limacher, I trained under him in the late 1990’s- he was the best chef in the country at the time, head and shoulders above anyone else and I learnt so much from him- he was incredibly generous and honest in his approach. He told his staff “how it is” and brought realism at a time when food was full of fluff and a lot of people had lost sight of the fact that food must taste good first and foremost. I credit a lot of my success to him; he remains a great friend, confidant, and supporter. He has flown to Melbourne every year for the past four years to eat at Attica. David Thompson has also been an influence – through his books and kindness, he helped me to better understand Thai cuisine after I floundered in the wilderness with it for 6 years. David has a superior food intellect and his knowledge of all cuisines, technique and ingredients is truly inspiring- without a doubt he knows the most about food of any person I’ve ever met. I think he’s a genius and feel fortunate to call him my friend. My friends the chefs who dine at Attica- chefs love cooking for other chefs and we always look after them because the life of a cook is not an easy one and if you are lucky enough to have a night off its nice to be made a fuss of- its one simple pleasure we can provide for each other, a mark of respect and almost an unwritten rule to do this in restaurants. They always make me want to cook better- having cooks eating my food is good for motivation. 4-(Scoffier) Do you have a particular flavour or taste from your childhood that is again memorable? BShewry- I have many dishes inspired by my childhood with stories that accompany them, my dishes “a simple dish of potato, cooked in the earth it was grown”, “marron, cured beef, wild sea flora”, “terroir” and “snow crab” were all inspired my traumatic childhood events. I grew up in isolation in the rural NZ backcountry on my parent’s sheep and cattle farm. Most of my inspiration comes from the first 12 years of my life when I lived there. 5-(Scoffier) Is there any elements from your cuisine that is typical from the Australia? BShewry- I’d say the only element that I share that is typical of Australia is the use of some tropical produce- we have great tropical fruit here. Also because of our close proximity to Asia there is more influence of Asian ingredients and techniques. 6-(Scoffier) I look at your Menu at Attica, you often change your Tasting Menu? BShewry- Every Tuesday we do a menu called “chefs table” It’s a five course menu- I’ve attached my menu blurb. It changes completely every week and is only $75 for five courses. We want to keep it real! In addition to this we run an 8 course tasting menu from Wednesday to Saturday which is much more refined and focused- it is the fruits of our Tuesday night labour. The dishes that are successful on Tuesday will sometimes make it onto the 8 course menu after weeks of refinement and tinkering. Welcome to Attica, two years ago chefs table was born out of our desire to progress more quickly with the development of our cuisine, throw caution to the wind and to offer guests more variety at a reasonable price. The menu is a living, breathing thing and evolves week to week. I work on it during our weekend and let the seasons dictate what they may in terms of produce; many of the dishes are inspired by memories of my childhood in rural New Zealand and by sights of nature and life that I discover on my drive to work from my home on the Bellarine peninsula. Some dishes are just inspired by common sense and beautiful produce. My team and I arrive each Tuesday morning to begin the day’s preparations, we gather around a bench and discuss how we will go about putting these new ideas and thoughts into something cohesive as a menu, the evenings food will take 50 man hours to produce. None of the dishes have been cooked before…..
7-(SCoffier) How do you realize your slow-cooked potato? BShewry- I look back at my history and that of my native country New Zealand. Hangi is a traditional Maori cookery method which involves cooking of ingredients in a pit in the earth. I was inspired by the Hangi’s of my childhood and one in particular at my Uncles folk festival in rural Taranaki where I witnessed a group of men slaughter a flock of 30 geese in a most inhumane and cruel way. I was about 8 years old and I’ve never been able to get that memory out of my mind. After the men came to their senses they were embarrassed about what they had done and left most of the geese to rot in the paddock instead of plucking them for the hangi. When my Uncle found this out he was wild and yelled at the men to go back and pluck every last goose. Need less to say the main memory from that particular Hangi was of cooked goose meat. My dish of “potato simply cooked in the earth was grown” took more than 5 months to develop and 25 varieties of potatoes were tested. It was inspired by the above event. 8-(Scoffier) I know that the chef Pascal Barbot (L’Astrance) take a lot of time (40 % and more) choosing and picking his produces at the market. Do you spend as much of time to choose and pick your produces? I know that you pick herbs each morning at your home? BShewry- Throughout the seasons my team and I forage for over 45 different varieties of edible wild plants. Winter and spring are the best times and there is an abundance of weeds, herbs and succulents to be picked. Summers are very hot and dry and most of vegetation dies off. Its starting to dry up now and we are have to contend with snakes on our forays into the bush and wild. Not fun but I’m pretty careful. We often pick along unkempt areas by urban train tracks as well, so if the snakes don’t get us it’ll probably be a train! I live 2 hours away from Attica in the country and there are many beautiful places to find wild ingredients there as well, it’s a great respite from the heated and stressful atmosphere of the kitchen. 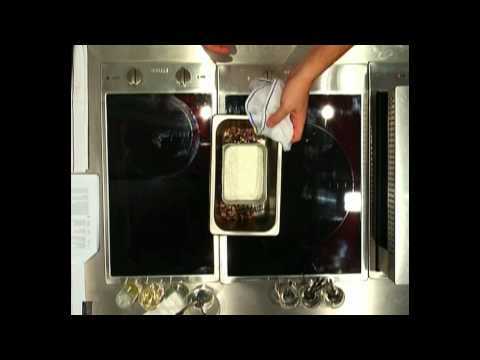 9-(Scoffier) Do you use some elements from molecular gastronomy or from new technology in your cuisine? BShewry- I use modern cooking techniques, but that is not what is important – technique or technology should only be used to serve an ingredient. By that I mean- it should just be perfectly cooked, the technique should magnify the excellence of the ingredient not overwhelm or smother it. Old techniques are important as well. I worry about the next generation of cooks and their possible reliance on sous vide. Attica was one of the first restaurants to use this technique in Australia 4 years ago before there were any cook books published on it. I had to learn it through trail and era- this is the best way. There is no such thing as “put something in a plastic bag and set a timer for 8 minutes” and as if by magic it is perfectly cooked. Sous vide is like any other technique- you need to cook by feel. Over one year ago we began to move away from it- too many people were practising it and all the textures were too much alike. Good quality, precise ovens are underrated. 10-(Scoffier) What is the importance of wine pairings in your menu at Attica? BShewry- Very important, my food is very light and incredibly difficult to pair wine with. Big wines overpower the dishes easily and so it’s important for us to offer wines that are sympathetic to my cooking. Camm our sommelier and I always try the wines together with my food for better judgement. Two heads are better than one. 11-(Scoffier) Can you give us a detailed recipe (Signature dish) that is characterized the cuisine of Ben Shewry and Attica Restaurant? 12-(Scoffier) It’s important for you to participate at Madrid Fusion 2010? BShewry- Madrid Fusion is very important to me and my team. Firstly, I am the first and only Chef to be invited from Victoria in the events 8 year history. Secondly we have been forging on for years, trying to do our own thing and its great recognition of that. There have been thousands of hours of work put into my cuisine, the only reason for that is it’s what I enjoy doing. It’s so much damm fun! The organizers of the festival came and dined at Attica and judged it on its merit- they didn’t just invite me based on the words of others. When you grow up in the backcountry of New Zealand you cannot imagine in your wildest dreams anything like this happening to you. All I have wanted to do are cooking. 1. Heat a medium saucepan until very hot, add drained clams, water and wine and cover with lid. Allow to steam until just cooked. 2. Strain clams from juices. Pick clams from shells and finely slice. Cover and set aside in fridge until needed. 3. Set up a chinese steamer over a low heat. 4. Measure 250ml of the clam juice and pour into a bowl with soy milk and eggs. Whisk well and season with white pepper and salt. 5. Pour custard mix into 8 lightly greased small bowls. 6. Place bowls inside steamer and gently steam for 5 to 10 minutes or until custard is set. Remove from the steamer and allow to cool to room temperature. 1. Peel and de-vein the prawns. Keep the heads for later use. Gently steam the prawns in a chinese steamer until just cooked. Allow to cool and finely slice. Set aside in fridge. 2. Heat a medium sauce pan to a gentle heat. Add olive oil, carrot, shallot and celery and sweat for 4 minutes. Add prawn heads and sweat for a further 5 minutes. Add white wine and reduce to a glaze. Add parsley stalk and water and bring to a gentle simmer. Simmer for 20 minutes. Strain the prawn stock through a fine sieve line with muslin cloth. Season the stock to taste with fish sauce. Bloom gelatine leaves by soaking in cold water until they soften, strain away water. 3. Measure 300ml of the prawn stock and bring to a simmer, remove from the heat and whisk in bloomed gelatine. Pour into a small dish and place in the fridge to set. This will take about 2 hours. 1. Crumble nori into a pestle and mortar. Add sugar and grind to make a powder, season with a little salt- should taste salty with a little sweetness. 1. Place all ingredients in a medium saucepan and bring to a gentle simmer. Simmer for 15 minutes until the “raw” taste of the sea urchin has been cooked out. Remove from the heat, add lecithin and season to taste with fish sauce. Blend until smooth in a upright blender. Pass through a fine sieve. -32 cucumber balls, cut with a small melon baller and marinated in a tablespoon of fish sauce and a teaspoon of sugar. -Gathered sea flora such as sea lettuce, samphire, salt bush. 1. Gently turn out custards into the middle of your plates. 2. Combine the sliced prawns and clams into a bowl. Season with a pinch of salt and a few drops of lemon juice and light tasting olive oil. Mix well and then divide between the custards spreading evenly to form a mound. 3. Place small pieces of the prawn jelly in any gaps in the prawn/clam mix. 4. Place 4 pieces of the mushroom and 4 pieces of the cucumber on top. 5. Sprinkle a pinch of prawn floss over each dish. Scatter a few pieces of sea flora on each. 6. Sprinkle a little nori powder over and finish by frothing the sea urchin with a hand-held blender and spooning a little froth on each.